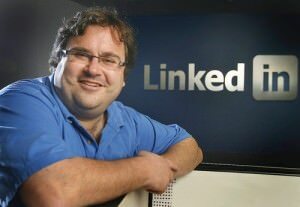 Reid Hoffman, founder of LinkedIn was recently interviewed in Fortune Magazine (August 31,2009) stating that his impetus for starting LinkedIn was born out of a passion to make a big difference and to answer the question, “How do you change the lives of millions of people?” Now that’s a great, motivating question. Reid has kept that question at the center of his life as he continues to grow LinkedIn into an organization that benefits millions allowing them, as he puts it, to become “sofware entrepreneurs.” He illuminates the fact that the working world is changing making every person “somewhat entrepreneurial” especially when one is looking for a job. Reid, as he has stated in past articles (I read as many of them as I can) has said that he is still trying to get people to realize the day-to-day benefits of LinkedIn. Well, this article pulls Reid’s vision forward just a little more. For me, I see LinkedIn as much more than a software tool for job seekers. I see it as an integral part of building successful careers, businesses and communities. But, of course, it is also incredibly beneficial to job seekers! Stay tuned!